In my previous article, I focused on preparing for your board interview. In this article, I want to get into some detail on how you might respond to some typical board interview questions that you will be asked, using the TEE approach. I have listed in a previous article all the questions you might be asked in a board interview. 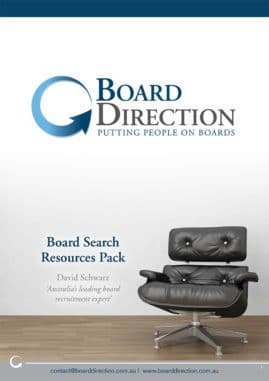 These have been developed and used by myself over more than a decade of interviewing candidates for board appointments. They have been road tested by others too. I would be very surprised if a question came up in a board interview that you could not answer by answering any of the questions on this list. You may still get different board interview questions, but the answers will be contained in response to the questions on this list. General questions about you, your background, motivation for the role and the ubiquitous ‘why do you want this role’ question. Questions about your governance style – what sort of non-executive are you – your style of interaction with the board and Chair. Questions about your executive skills, your commercial acumen and why they are relevant at board level. Questions about the research you have done in preparation for the interview – demonstrating you understand what they do, why they do it and the challenges they face. Finally, they will likely give you a chance to ask questions of your own. It seems pretty easy to respond to, but I am regularly surprised that people tell me their life story as if I have not read their CV. This question – and indeed this section – is an excuse for you to tell me why you should be appointed. It is a chance to articulate the research you have done and why your skills, experience and passion make you the perfect candidate for the appointment. It is important you get this response correct. You must demonstrate that this is something you are passionate about and that your skills and experience mean that you can contribute effectively. If you did your research, this will be easy to respond to. With this question, they really want to know is if you are going to risk the reputation of the organisation or Chair by disrupting the decision-making process of the board or go off-reservation with the way you work with the executive or other NEDs. Here you might be asked what your relationship with the CEO will look like. There are many different responses, but if the Chair is protective of their relationship with the CEO, then stating that you want full access might make you a cultural misfit. In all governance-related questions, my advice is to tread carefully and always err on the side of reverence for the Chair – emphasise a desire to be led by them. Having said that, if you have a strong opinion on a matter, you should speak your mind but with the associated risks being known. A word of warning: this sort of question is in many ways a litmus test by the Chair to see how you will fit into the current board’s culture. These questions will have been answered somewhat in your opening set of responses. In fact, you may feel like you are repeating yourself a little. Don’t worry too much about that but do try to mix up your examples of success. Here the question is not about whether your executive skills are appropriate – you would not be in the interview if they weren’t. Instead, the question, and your subsequent response, is likely to be focused on how your skills and experience are relevant at board level. The operative word here is board. This is a chance to demonstrate how you will pivot your skills in a board context. For example, if you are a finance professional, you must know how the board will utilise your skills. If you are a CEO with industry experience, know how that is relevant to a board that already has a CEO and executive team working for them. If you are an HR or marketing professional, know and articulate what risks you can help the board mitigate. If you are an IT professional, then know why what you do is important from a governance perspective. In all responses, boards are about mitigating risk – your response should emphasise this. Because you have done your research, these questions should be easy to answer – though they may be framed in any number of ways. However, having done your research, you should be able to reference your conversations with key stakeholders to great effect. You should also be able to speak from their perspective and know where people in the industry see the challenges for the future. On the other hand, if you have not done your personal research, then you are going to find it difficult to separate yourself from others being interviewed. You are also going to find it difficult to answer any of the strategic questions. Towards the end of the interview, you will be given the opportunity to ask any questions you may have. In many cases, candidates feel obliged to ask something. However, it is my experience that these questions add nothing to the value of your interview and risk the opposite. Therefore, my advice here is to ask no questions. If you have done your research, then it is unlikely that you have any quality questions to ask. If you haven’t then you risk asking questions that you should already know the answer to and thereby negatively impact on your interview. 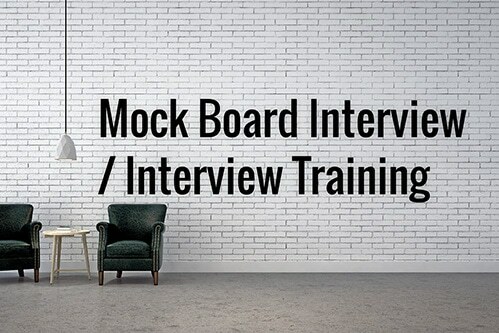 Click here for an extensive list of board interview questions.